Weight loss can be difficult for many when having to cut out fast food and increase excursive. Sometimes something life-changing is the catalyst to start the journey, something Ty Gould, 46, found out the hard way. Weighing over 18 stone, he suffered a huge cardiac arrest after returning from a holiday in La Manga, Spain. After making a noise “like someone was gasping for air,” his wife, Margaret, was forced to do CPR on him until the ambulance arrived. She explained: “His eyes were rolled into the back of his head like he was having a seizure. He wasn’t breathing. I called 999 and then started resuscitating him for eight minutes. The doctors discovered that it was caused by cardiomyopathy, heart disease caused by heart chambers being stitched or stiff. A later checkup warned he must lose at least five stone or risk further health problems. Ty admitted that he had “no idea where to start,” as he always struggled with his weight. However, with a 12-week free referral to Weight Watchers due to being classed as obese, he and Margaret decided to join and change their eating habits. 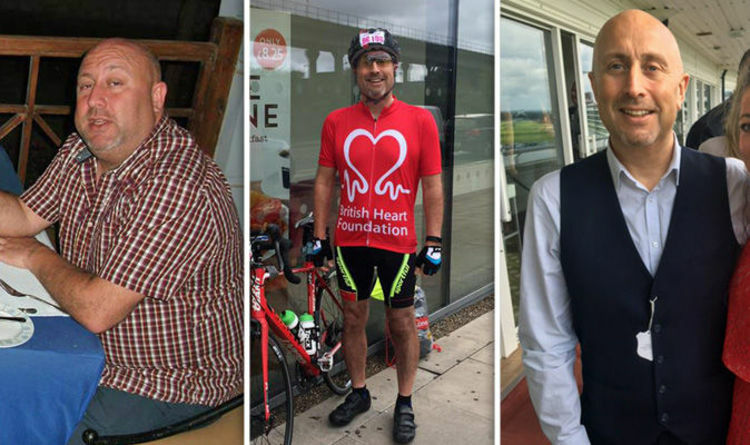 The changes to his life have been huge; cycling over 120 miles a week, eating healthy breakfasts, a prawn sandwich for lunch and lean mince for dinner, and the pair managed to lose nearly nine stone between them. Ty lost so much weight that some of this work colleagues didn’t even recognise him. He explained: “I sat next to a woman at work the other day and she asked me if I was new to the company. "I laughed as I have known her for a long time – but she hadn’t seen me for 18 months because she has been working elsewhere and had no idea who I was." Thankfully, she admits “he has never been healthier”. Another woman lost nearly half her body weight after nearly dying whilst swimming.